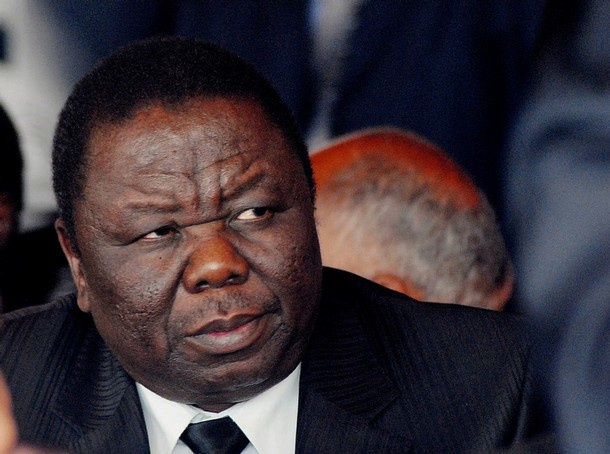 Has MDC leader Morgan Tsvangirai taken his party down the road to its own destruction? The party congress of Zimbabwe’s opposition Movement for Democratic Change (MDC)’s, an electoral exercise whose main purpose was to reinvigorate the party in preparation for the 2018 elections, has come and gone. Much of what happened was conveyed by the headlines in local newspapers; “˜Tsvangirai emerges weaker from the Congress,’ “˜Without Unity, MDC is fighting a hopeless cause’, and “˜Did the MDC-T Congress enhance 2018 electoral chances?’. Often, a sad, dithering photo of Morgan Tsvangirai, the party leader, accompanied such headlines, completing the media’s suggestion that the opposition group is a cause that continues to retreat. As the MDC’s congenital failure, Tsvangirai’s retention as leader has not gone down well with some sections of the party’s traditional support. Indeed, following an emphatic thumping by ZANU-PF in the July 2013 elections, many thought that the leadership problem had become so serious that the opposition group needed a replacement if the party was to successfully rejuvenate itself. The most touted party apparatchik to succeed Tsvangirai was the youthful and charismatic Nelson Chamisa, who until the congress at the end of October, was the MDC’s Organising Secretary. A scion of the student movement that shook Zimbabwe’s political establishment in the late 1990s, party enthusiasts expected him, with Tsvangirai’s blessing, to ascend to the position of Secretary General in preparation to take over after 2018. However, Tsvangirai reportedly strong-armed the internal electoral process in order to have him defeated. Instead, former Party Spokesman Douglas Mwonzora (who is considered to be less able) took over as the new Secretary General, shattering the fragile sense of democracy within the party. The move to undermine Chamisa’s electoral chances was not only motivated by contempt for the very notion of anyone leading the party, but also a desire to punish the youthful politician. In the run-up to the congress, Mwonzora had led a group of Tsvangirai’s allies who were advocating for whittling down the powers of the Secretary General, and transferring them to the leader of the party, a demand that Chamisa ferociously opposed. Thus, Mwonzora an ardent ally of Tsvangirai, who is associated with initiating and sustaining a mini-cult of Tsvangirai, was rewarded for his acquiescence to Tsvangirai’s demands, and Chamisa was punished for his opposition to the leader’s power grab. The preponderance of loyalty over merit has seen the promotion, in all party structures, of those who campaigned for Tsvangirai, and the decimation of those with talent from the leadership. With no official positions within party structures, voices of those such as Chamisa are now easy to silence or push down below the surface where they cannot disturb the ‘forward march’ of the MDC. Inadvertently, this behaviour can make the party appear mediocre, making it even more difficult to attract the serious talent that it so desperately needs. But despite this rapid declension of the opposition outfit, some of the party faithful have been quick to suspend their disappointment. They argue that the party has the capacity to bounce back. However, what hasn’t registered with these optimists is that the grander party of yesteryear is gone. Indeed, gone are the days of party stalwarts such as the late Learnmore Jongwe, the irreplaceable Welshan Ncube and Tendai Biti who left after having concluded that their future lies outside the anguish and failure of MDC politics. Those who have chosen to stay such as Elias Mudzuri, Job Sikhala and Chamisa, have been marginalised, and the party will miss their organisational talents. This dearth of talent has not only been confined to the party’s political leadership but intellectuals as well. Indeed, the MDC is a party that has never been spoiled with an intellectual community endowed with enough talent to help create a good story. Unable to recruit local talent, until recently the opposition group has had to rely on foreign intellectuals to do the inventing. Indeed, through an incisive critique of ZANU-PF, the story of the MDC was powerfully articulated amongst many, including such prominent academics as ex-Oxford University Professor, R.W Johnston, Steven Chan of SOAS and Professor Robert Rortberg. But, with the erosion of interest in Zimbabwean politics, these academics have refocused their attention elsewhere, and the incapable MDC intellectuals have struggled to sustain the narrative that this foreign group had begun. Hard pressed for intellectual capacity, the party has not only struggled to articulate its own story, but also to devise an effective political program. Indeed, the party’s sparse academic community has struggled to understand the importance of devising a strategy that can be effective within the context of Zimbabwean politics. For example, practically, the MDC has no ideology; has a modest interest in nationalism, and shuns independence politics. In the politics of Africa in general, and Zimbabwe in particular, ideology, nationalism and politics of independence matter. Ideology provides pillars around which campaign rhetoric is built. Nationalism and an association with independence politics are not only an inescapable basic moral foundation of post-independence politics, but help the opposition political party establish an “˜authentic’ foothold on national politics. The fate of “˜liberal parties’, especially in countries governed by liberation movements across Africa, offers a useful cautionary tale. “˜Liberal parties’ have never been able to establish a lasting foothold on national political scenes, let alone win power in the post-independence era. There have been some half hearted intellectual claims within some quarters of the party that because of its links with the former student and labour union leaders, the MDC represents the working class. However, the party’s rather poorly articulated economic arguments have seen the opposition party being linked with neo-liberal economics, leaving in the cold those who get excited at the leadership’s rhetoric on representing the working classes. This contradiction has not struck a chord with the funding community, who for long have struggled to understand where the party stands. Also, their political adversaries have used this identity crisis to plant doubts in the MDC’s commitment to a serious economic programme. Without a strategy and a convincing political programme, what is it then that has helped the MDC to sustain such a long life span as opposed to other opposition parties that have come and gone in Zimbabwe? Apart from the peculiar economic circumstances that have seen Zimbabwe struggle for a prolonged period, with economic hardship acting as an effective recruitment tool for the opposition, the MDC has benefited immensely from the West’s political patronage. Through a local pro-democracy movement, and directly, the West has not only funded the MDC but also ensured that the party received a positive depiction in the international media. Hardly a master piece of strategy by the opposition, this alliance exposed the party to attacks as a neo-colonialist project, and all kinds of caricature by ZANU-PF. In an attempt to see Mugabe defenestrated as president, Western media went into an overdrive to project an over romanticised story of a hero fighting an ultimate villain, the Hitler of Africa. Indeed, on more than one occasion, comparisons were made with Mandela’s fight against apartheid. But unlike that of Mandela, Tsvangirai’s image had very shaky foundations. Reports of violence against his opponents, autocratic behaviour and personal shenanigans, coupled with his inability to dislodge Mugabe, compelled the Western media to change its course. Indeed, towards the July 2013 elections the image of an anti-Mugabe hero was no longer sustainable. Instead, a welter of images that had come to constitute Tsvangirai were quickly replaced by those of a leader who has an affinity for opulence, who is autocratic and whose incompetence has turned the MDC from an asset that could unseat ZANU-PF, to a burden and an embarrassment that was increasingly becoming costly to defend. Also, the new national leadership that took over in Europe at the end of the last decade, appeared to have little fascination with the name Tsvangirai or illusions about his ability to dislodge Mugabe’s party. Having struggled to absorb this fundamental reality, the MDC leadership reacted angrily, dismissing the West’s support as unnecessary and not needed, utterances that suggest a simplistic view of the larger political space in which the opposition exists. It is not unreasonable to say that the MDC enterprise would not have been born, let alone sustained had it not been for the West’s patronage. Will the opposition which started with much promise be able to stand after another assault in 2018? Many doubt it. Those who predicted that one day the MDC will take the route of Zimbabwe’s other opposition parties might not have cast their net too wide open after all. As an opposition, Tsvangirai’s party is close to death; its increasingly disengaged supporters have sunk into despair; its commentating glitterati reduced to spectators of political developments in the ruling party. Internationally isolated, the media coverage and financial opportunities that it once enjoyed have since evaporated. But the person who bears the ultimate responsibility for the death of the party, is its leader, and those around him who have been unable or unwilling to register what is in front of their eyes; that Tsvangirai has failed.